In 1912, one of Sweden’s greatest inventors, physicist Gustaf Dalén, was blinded during an accident involving pressure containment for his gas accumulators. He had created a device for use in unmanned lighthouses. This device lit itself at night and extinguished in the morning, improving marine safety, thereby saving countless lives and immeasurable property. Despite the setback of losing his vision, he continued to work, always thinking of new ideas for improving the world. Before his death, Gustaf went on to rack up more than 100 patents as well as a Nobel prize. [mainbodyad]Over the decade subsequent to his blinding, Dalén, who now spent a lot of time at home with his wife, noticed how exhausted she was by cooking. After lighting a stove, bringing the food to the correct temperature, watching over it obsessively, serving the courses, and cleaning, she was tired. Dalén began to work on the problem, thinking about how he could create the perfect oven. He wanted something that allowed a cook to move the food based on temperature, even keeping entire plates warm for hours without continually cooking in the event guests were going to be late. In 1922, he patented the resulting invention, which he called the AGA Cooker. Though largely restricted to Sweden and the United Kingdom, AGA remains, today, one of the greatest engineering marvels ever brought into fruition. 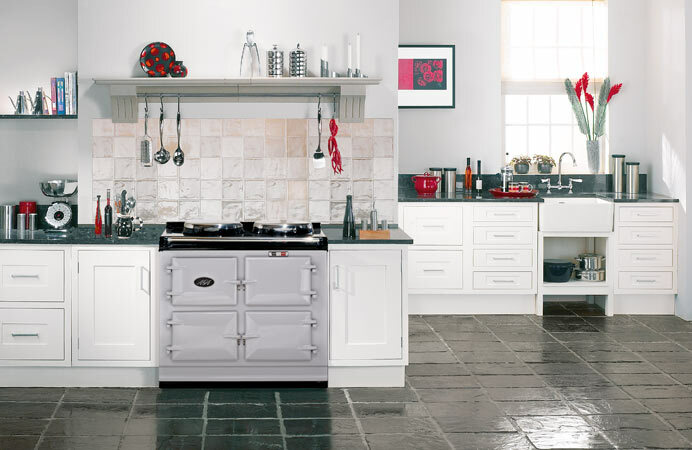 Manufactured out of cast iron, and weighing more than 1,200 pounds in one of its popular configurations, an AGA works by heating a central area in the stove, which then radiates out through a series of ovens, each of which has a different temperature and is ideally suited for a different purpose. The AGA stove is always on as it takes far less energy to maintain once lit than getting it to proper temperature in the first place; a feature that shouldn’t surprise anyone considering that Dalén was the same inventor who famously figured out how to reduce gas usage in lighthouses by 90%. AGAs are available in multiple fuel source configurations. The models from a century ago could even run on coal or solid fuel, whereas the modern models can be ordered in natural gas, electric, liquid propane, etc. 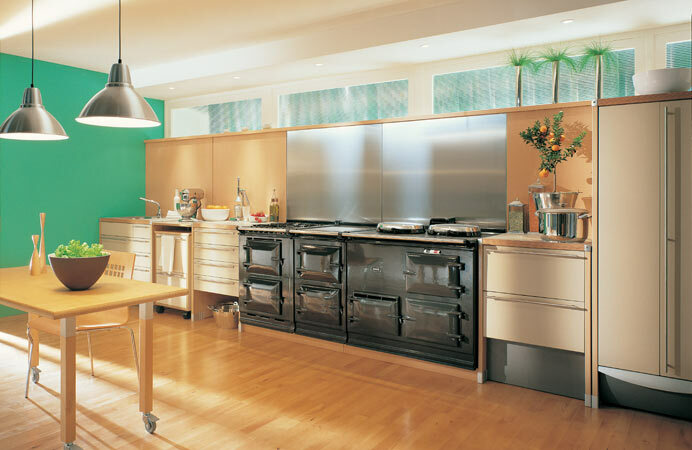 For the larger model AGA stoves, the estimated temperatures are as follows: The boiling plate is 700 degrees Fahrenheit, the simmering plate is 350 degrees Fahrenheit, the roasting oven is 450 degrees Fahrenheit, the baking oven is 350 degrees Fahrenheit, the simmering oven is 250 degrees Fahrenheit and the warming oven is 150 degrees Fahrenheit. If you get a warming plate, it is 120 degrees Fahrenheit. The ovens are designed so you can stack pots in them, cooking multiple dishes at a time. A two oven AGA can cook a dinner for up to 8 people, a 3 oven AGA can cook for up to 10 people, and a 4 oven AGA can cook for up to 14 people. They can be ordered in a dozen colors and are so well made that there are some still being used that were installed in the 1930’s. These cookers are from a by-gone era when the mere mention of product obsolesce would have been a disgrace. That devotion to quality shows in the price. 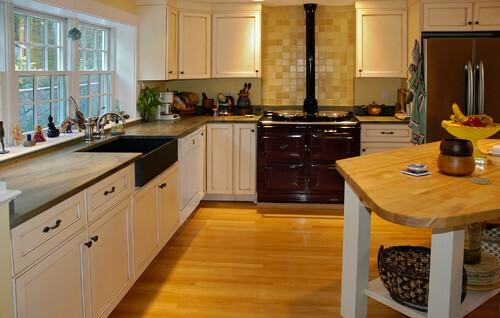 An AGA is meant to stay in the family, outlasting the original owner. That means product integrity comes before cost so not only are they expensive to purchase (though, to be fair, when amortized over estimated life they are a good bargain) – the big model will run you just shy of $26,000, though they are on sale for around $19,000 at some distributors – the energy costs are higher than modern stoves, which aren’t always on and don’t provide any radiant warmth in the midst of a cold winter. It’s a fascinating thing to study from an economic perspective because the fuel expense is around $1,200 per year at current prices but owners can’t imagine giving it up once they’ve had one. 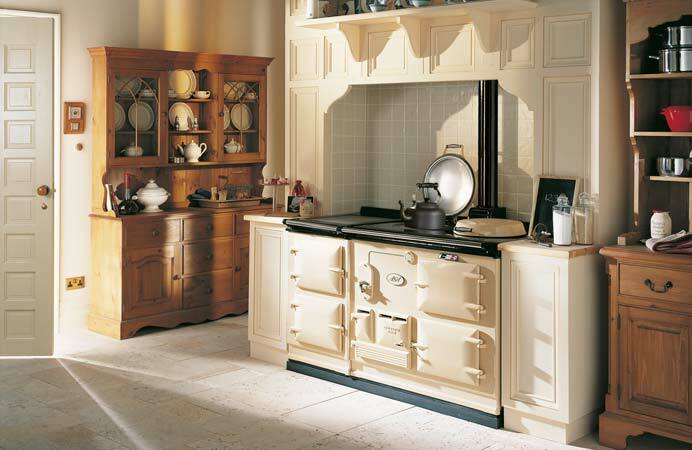 An AGA provides so much utility, it seems that even frugal homeowners cease to care about the bill. 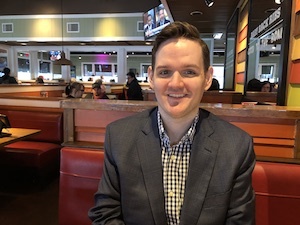 As the author of that linked article put it, “It’s like living with an errant husband, turning a blind eye to his obvious flaws, because I can’t imagine life without him.” It’s a product that creates evangelical converts; people who talk about their AGA as if it were the greatest thing ever conceived. Very few inventions are capable of generating that sort of passion. 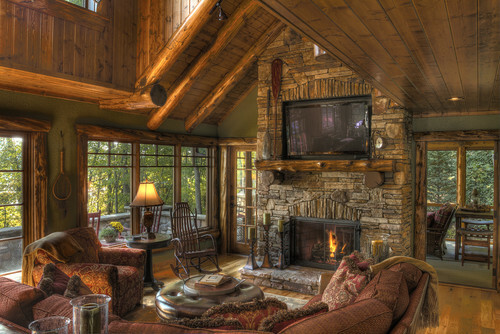 I’d bet if you were smart enough about it, you could get an electric model in a cabin out in the middle of nowhere and hook it up to solar power so it would still be working even if the world fell apart in some sort of natural disaster or emergency. You could be completely isolated from the world, living off your own food supplies, and nobody be able to find you. Dalén controlled AGA until his death near the end of the 1930’s. The company is publicly traded and its devotion to remaining consistent to its values has cost it dearly with profitability being hard to come by as you can see in the annual report. That’s what you get when you make a product that hardly ever needs replacing, most people have been conditioned to buy throw-away goods that last for awhile then end up in a landfill, and the worst recession in nearly a century hits. 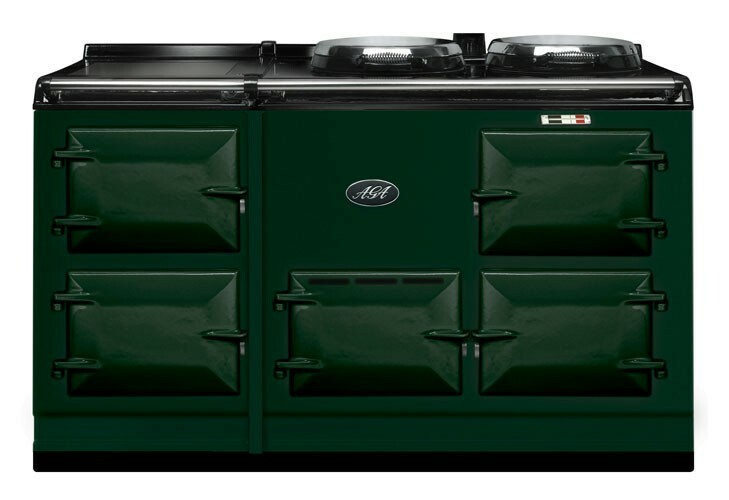 As a small consoliation, AGA gives its stockholders a 10% discount on AGA products, up to a maximum £500, as long as they own 5,000 shares or more. The 5,000 share threshold is not difficult to reach as the stock is suffering so much at the moment it is trading for the equivalent of $2.55 per share. I haven’t had a chance to read the annual report in full, yet, but it’s on my agenda. It looks like a brutal business. Bloomberg did a short report on the company. The original marketing document written by advertising genius David Ogilvy is available online as it was he who brought it to England.